You exit an old native pass referred to as ‘the Meadowbrook’ and pull in to a scarcely paved lot across from the Marriott. In that lot, scorns of people are tailgating, regaling each other with their HONK HONK HONK-HONK-HONK greeting as they mark their spaces. They are to a man and woman, all decked out in their colors, the colors of their home, orange and blue (these oddly, are also the colors of their future home despite what the marketing geniuses say). Their garments honor seldom acclaimed heroes known throughout their clan and the hockey Island they call home. Scatchard. Jonsson. Tonelli. Flatley. Ferraro. Volek. Kasparaitis. Westfall. And on and on the names go. Then there is another tier, a tier even you, the uninitiated into their clan, recognize. These names are legend. Their place amongst the lore of the Island is without equal. Even the enemies of the Island fixate on these names decades later with disgust and jealousy. Smith, the coldblooded assassin. Nystrom, the norseman who looked like he just arrived on Midgard via Thor’s Chariot. Gillies, the most feared of all the Island legends. Bossy, their deadliest sniper. Potvin, their leader, reviled abroad, celebrated at home. These names are around you, and you become unnerved. You were told to forget their past, everyone else had. Yet, as you take your walk towards the entrance to the castle labeled Gate 9, you sense that past is very much alive. Those two categories of names may yet see new hallowed names among them. Their cheering crowd, which you were told didn’t exist anymore, buzzes around you. You can feel the eyes upon you… are you one of them or not? You had better decide quickly, for as you take your seat, you hear from the area known as 329, the loudest of their village, as they begin with their chants and prayers. They settle in as the battle begins. The thunder can be called down with a bolt of their Gremlin, or mastery from their dashing young Captain, but at his beck and call are a myriad of wizards and savage louts, who doggedly pursue their mark with a mix of skill and strength with relentless speed. They hail from far off kingdoms like Denmark, Minnesota, Oklahoma or from the great kingdom to the North where this hunt was invented. Back in their base camp, a wily old traveler guards their flag, he is aided by a half dozen ill tempered and fleet footed young men and one who as he, wears a gray beard and speaks of past travels with a funny accent and a flair for dramatics. These peculiar hunters draw blood. Their adoring masses serenade them with cheers. They are victorious and their old den is raucous. You don’t believe your eyes or ears. You were told to expect a lifeless group of outcasts just waiting for the time to abandon their den. What you found was a different story of a people who have many times stared down death and seem unwilling to surrender to it’s embrace. The Island tribe is not dying, nay, it is growing… in both confidence and number. They grow tired of seeing their past conquests forgotten, and seem ready to spark remembrances with the victories of a new generation. They have, at long last, developed a taste for blood again. There’s a strong concern that to those who truly love the game on Long Island, in the move to Brooklyn, the team may lose it’s identity. I don’t believe that to be the case, primarily because I’m of both spheres, and know Brooklyn to be as workman like as Eastern Long Island. That concern aside, it does raise the question that 329 asks every game: Who Are We? This Islanders team, is as much as any other in the NHL, is steeped in and cognizant of it’s tradition. That tradition is that of having their back to the wall and punching their way out. Two times, in a single playoff year, they trailed 3-0, rallying to force 7th games. 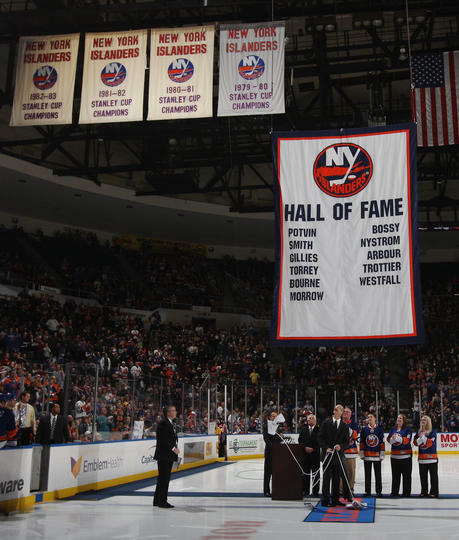 Their fans scoff at the history of their rivals because the Islanders history is dismissed as a result of the 20 year circus that followed, but what they did is unrivaled in the history of the sport. They went from a moribund sadsack expansion franchise to a dynasty in 8 years. The Big Bad Bruins, the Broadstreet Bully Flyers, and Gretzky’s Oilers are all lauded as all time great teams. Exactly one team can claim playoff victories over all of them at the height of their respective powers. The Canadians, The Wings, other teams of tremendous tradition in the NHL have an elegance, an air of dignity about them. Pundits laud them for their tradition, their class. None of these accolades are heaped on Long Island and her legends because of the way they won. They bullied the bullies. They beat down the highfaluting Oilers. In short: Respect wasn’t given to them. They took it by force. The NHL can laud the game the way it was played by the Flying Frenchmen, or the Triple Crown line, or the Production Line. For my money, I’ll take the Trio Grande above all of them. Life on the line, game you need to win? Give me Billy Smith over any of your ‘technical master’ goalies. Islander hockey has never been concerned with class. It’s always been blue collar, more about getting the job done than aesthetics. And they can say this, that few other teams can claim: Since they arrived in the NHL? Exactly one team has won more championships than them. 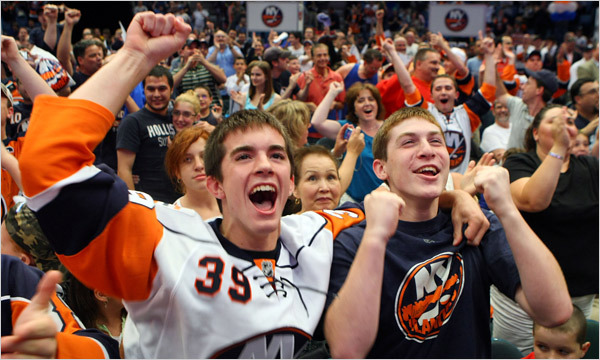 Islanders hockey isn’t a sonnet to the game or a thinking man’s way of playing hockey. Islanders hockey is puck pursuit, hard hitting and resilience. Islanders hockey is a bar fight, and we wouldn’t have it any other way. 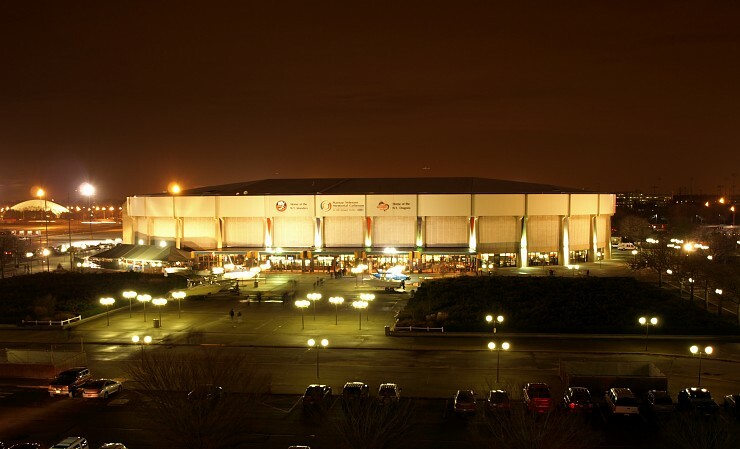 This entry was posted in NY Islanders and tagged Coliseum. Bookmark the permalink. 6 Responses to Profiles in Orange: Who Are We? Something I feel that should be included: Name another team that went to the finals 5 years in a row? Montreal did it when the won five championships in a row. Granted, they did it when there were only two rounds of playoffs a year, but they did, in fact, go to the final five years in a row. It’s finally our time. You can feel something special in the air. Thank you Garth Snow for assembling this new generation of hope and skill. LET’S GO ISLANDERS! ! !!! I also think it’s huge how many fans truly stuck with this team through the hell we went through, especially after the end of the “mini revival” in the mid 2000s. I will never miss going to a game with 7k people there, but those 7k people in the stands were just different. Hopefully good things will keep happening! Lets go Isles!